First off, skiing is safe. The average rate of sustaining a head injury while skiing that results in an E.R. 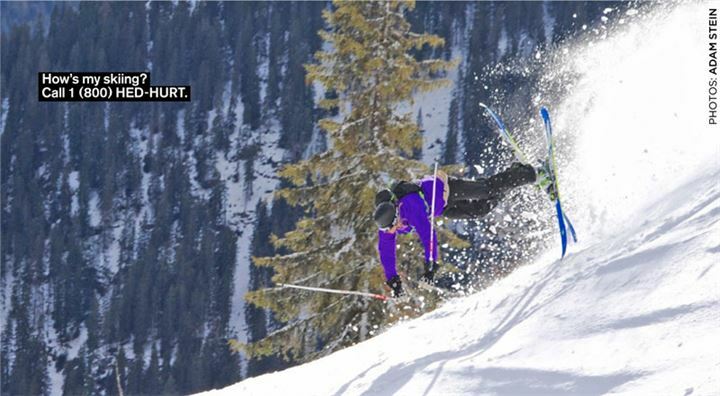 visit is approximately one head injury per 10,000 days of skiing. This is far less than cycling, skating and tobogganing. The treatment and recognition of concussion has evolved significantly since the 1980s when I had my “bell rung” on numerous occasions while playing rugby. Back then, concussion was usually only diagnosed if you were knocked unconscious. Even then if you got up quickly and could still remember your name, you were often allowed to play the second half. Today, concussion is now recognized and treated far more rigorously. There’s decent evidence that repeated concussions can have permanent damaging effects. However, most studies were conducted on professional athletes who had repeated serious head trauma and may not apply to weekend warriors who experience head injury on a much less frequent basis. How likely am I to get a concussion while skiing? The best data involves head injuries that resulted in an E.R. visit, and not specifically for concussion. 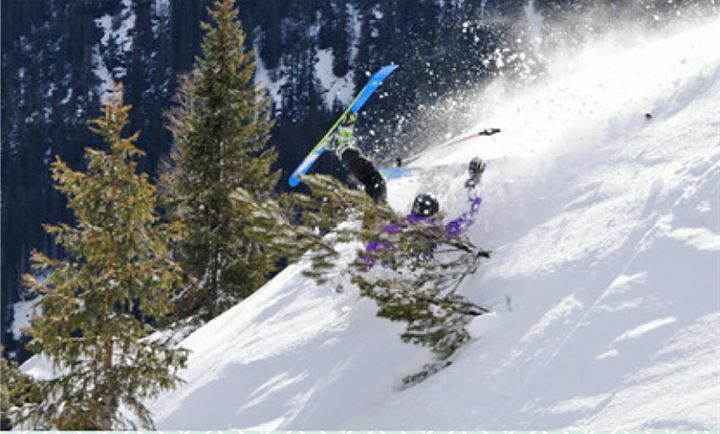 And although snowboarders appear to be more prone to head injuries requiring medical care, these data also combined snowboarding and alpine skiing head injuries in the totals. So what’s the best advice for your uncle Ted who had a yard sale and, despite wearing a helmet, has some dizziness, headache and trouble concentrating two days later? That’s where things get tricky. Much of the “proof” behind concussion guidelines is based on C-grade expert opinion as opposed to recommendations that are based on multiple A-grade studies. Despite the lack of proof to guide patients and health care providers on the best post-concussion advice, doesn’t it make sense to take the most conservative advice possible? Just to be safe? What if some of the cornerstones of post-concussion advice delay Uncle Ted’s recovery or cause him to needlessly spend a fortune on increasingly expensive and unproven therapies? My first advice for Uncle Ted would be that he most likely does not need a CT scan or MRI of his brain. A CT scan would tell if he had dangerous bleeding in his brain and, fortunately, unlike post-concussion advice, there’s good evidence to guide physicians on who needs an urgent CT scan. Unfortunately, many physicians and patients insist on unnecessary scans, “just in case.” Tragic cases of celebrity skiers like Natasha Richardson, who died shortly after a head injury while skiing in Quebec, tend to distort the risk perception. Unnecessary CT scans expose patients to potentially harmful radiation and often cause more anxiety by finding irrelevant “incidental findings.” In fact, the excellent Choosing Wisely initiative (choosingwiselycanada.org) lists the ordering of unnecessary CT head scans as its first area of concern. Should we be waking Uncle Ted up every two hours at night for the first few days after his injury? This is still written on many patient handouts in emergency departments but is outdated advice based on no evidence. Let him sleep. How about resting Ted’s brain and body after his concussion? Will that help him recover more quickly and prevent “Post-concussion Syndrome”? Despite many guidelines that recommend strict brain and physical rest in the days following a concussion, these well-intentioned suggestions are based on flimsy evidence. Some recent studies even suggest that strict mental rest following a concussion may worsen or lengthen recovery. Up to 20 per cent of post-concussion patients have prolonged and disabling symptoms, and I believe that this poorly understood condition desperately needs more study. The wide-ranging therapies available to patients who are suffering from persistent symptoms show how little we know about what actually works. If you search post-concussion care, there will be a long list of clinics that offer expensive and unproven therapies to desperate patients. I recognize that many people suffer from prolonged post-concussion symptoms and I wish I had better advice to offer. Hopefully in the next decade, research will provide some of these answers and that health care providers will not be too dogmatic in their advice to consumers.